Photographer born in 1938 in Noogata city, Fukuoka prefecture in Japan. Received prizes for APA, ADC, etc. in the 60’s. Started getting interested in subculture since Woodstock concert in ’69, and visit cities such as New York and London for shooting. 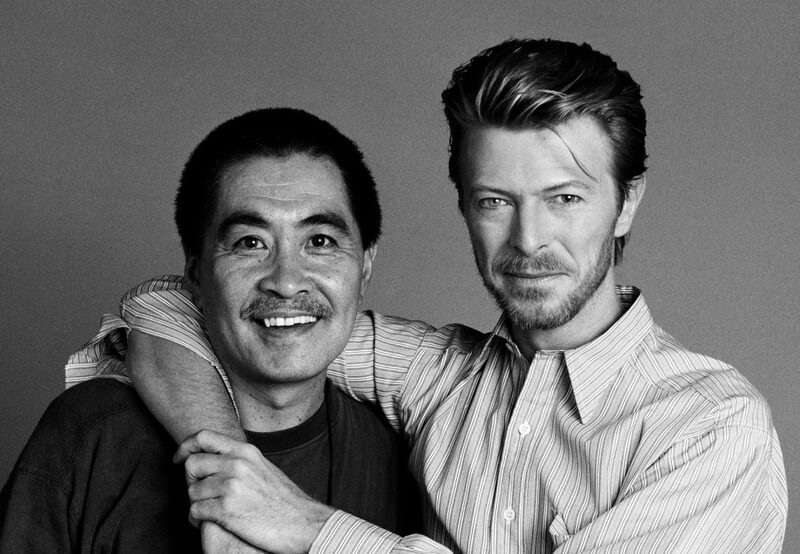 He has shot many famous photographs of David Bowie, T.REX and Yellow Magic Orchestra, and they are well known as their definitive portraits. In 2009, he took part in a photo exhibition “Who Shot Rock & Roll” at Brooklyn Museum. In 2010, he released a photo book “Yellow Magic Orchestra by SUKITA”, and in 2012, also released “BOWIE BY SUKITA Speed of Life” from Genesis Publications in the U.K., a photo book covering a collection of photos of David Bowie whom Sukita had been shooting for 40 years. Currently working for advertising, music, films, etc. Other Photo books: Jim Jarmusch A Film by Mystery Train (1989), David Bowie ‘KI’ by Masayoshi Sukita (1992), T.REX 1972 BY SUKITA (2007) and so many.